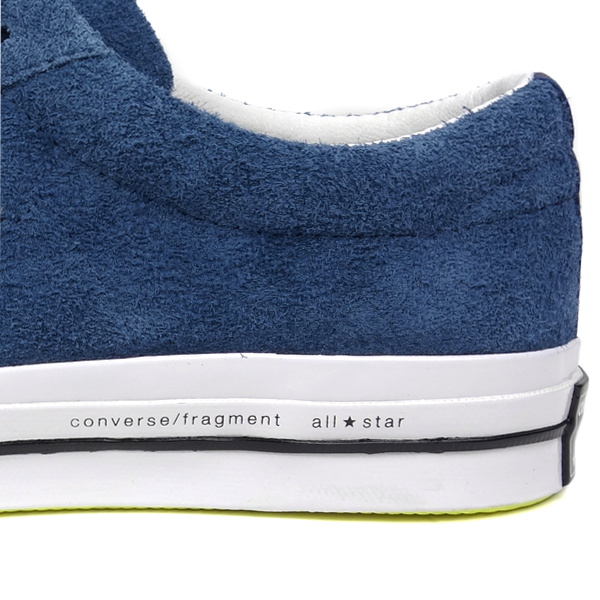 In SS16 Converse has partnered with Fragment Design to create a pack of two Cons One Star ‘74s. Fragment Head Designer, Hiroshi Fujiwara, is the OG of high sophistication, supreme street cred and impeccable cool. Hiroshi Fujiwara is the real deal. Describing himself as a "Cultural DJ," Hiroshi Fujiwara is now regarded as The Godfather Of Harajuku, The neighborhood in Tokyo synonymous with youth culture and the streetwear that he pioneered. 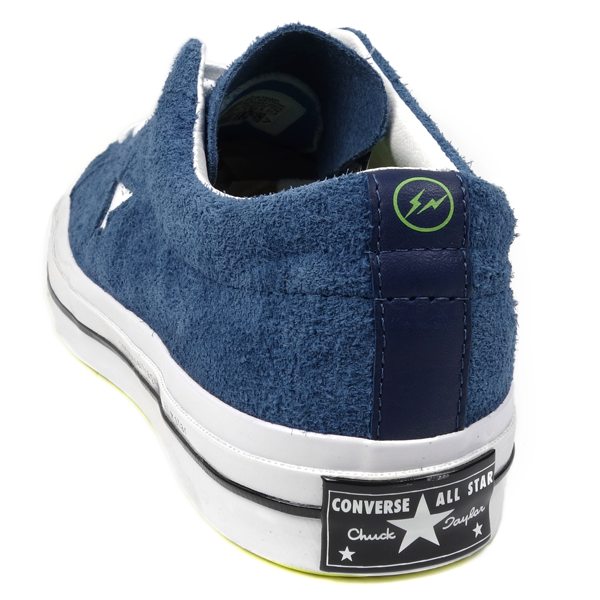 Fujiwara has collaborated with companies like Nike, Burton, Levi's, Stussy, Supreme, Medicom, and Converse, Along with artists including Murakami, Kozik, Kaws, And Eric Clapton, Yielding some of the most sought-after products out there. Fujiwara continues to define youth culture in ways that subsequent generations still strive to emulate but rarely attain. 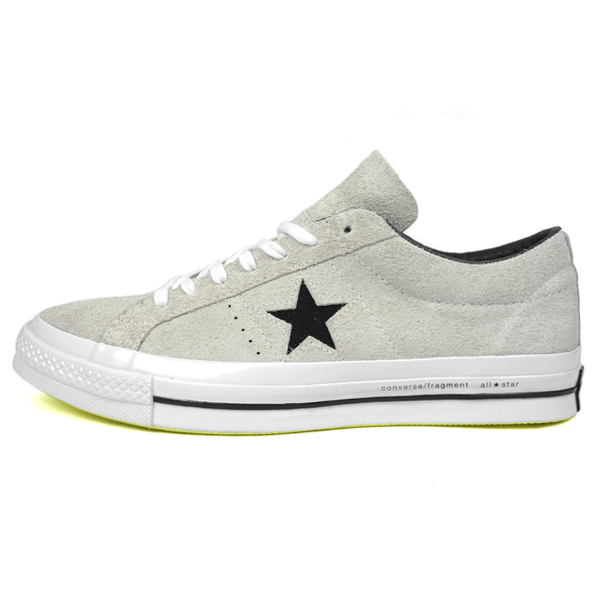 In partnership with Fragment Design, Converse has created a pack of two One Star ‘74s that embodies the timeless, premium, and crafted ethos that Hiroshi Fujiwara Represents. 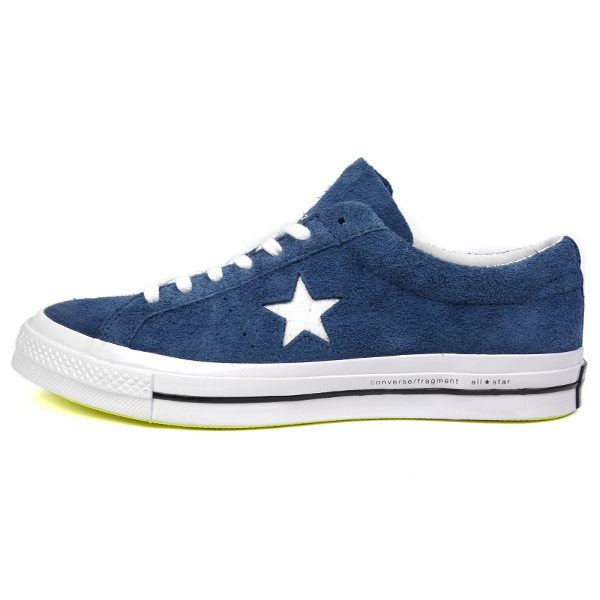 The upper of the sneaker utilizes a premium hairy suede and organic cotton One Star logo. 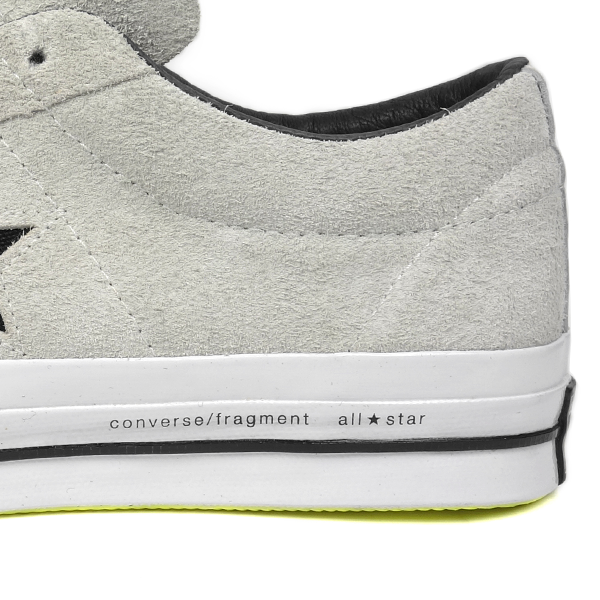 Fragment Design’s iconic thunderbolt branding is present on the heal stay. 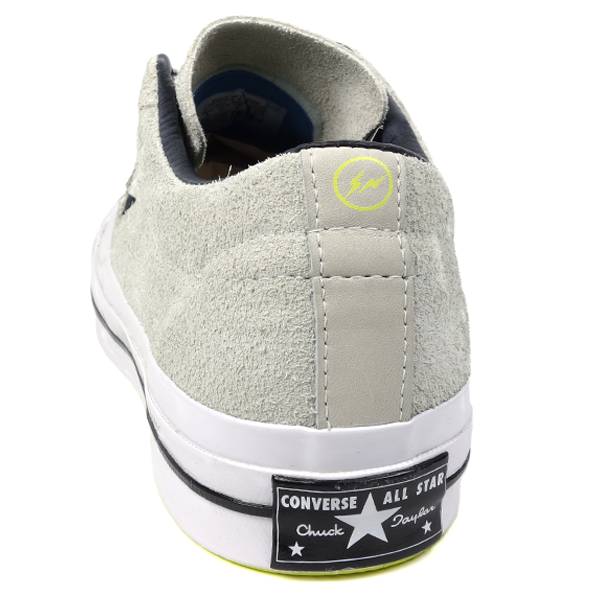 The sneaker also utilizes Nike Lunarlon technology for enhanced comfort.